Newlyn is one of the largest fishing ports in the UK. With our strategic geographic location, we are proud to offer round-the-clock refuge to those vessels that fish the Southwest Approaches. Lying adjacent to some of the richest fishing grounds in the Northern Hemisphere, our iconic harbour is the fulcrum of Cornwall’s fishing industry and we aspire for it to become the UK’s leading port – recognised as a centre of excellence and for its pioneering approach. 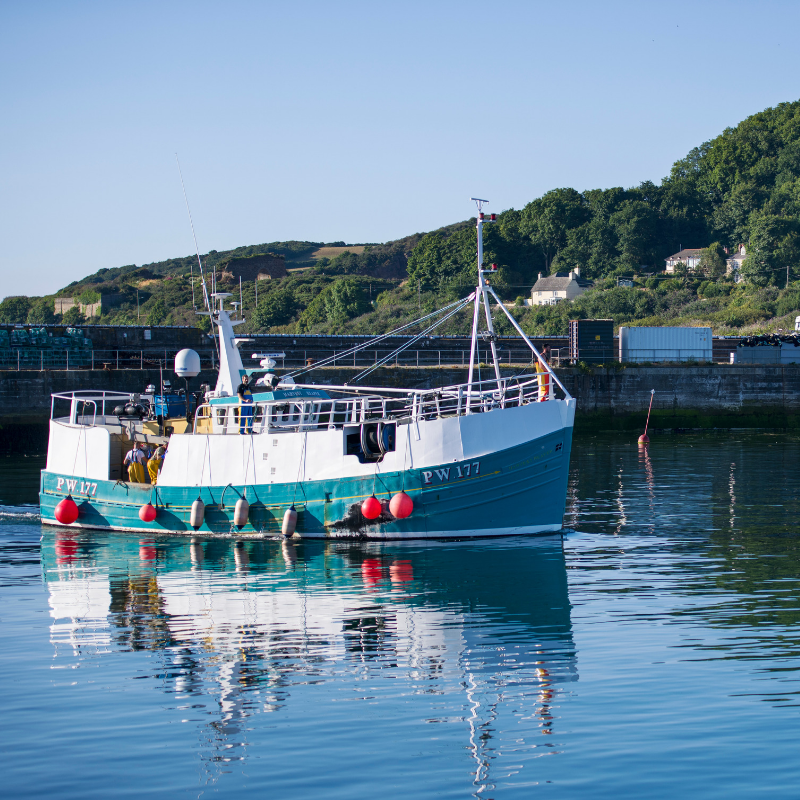 That is why we are transforming Newlyn Harbour to provide fit-for-purpose facilities, services and expertise that support the development and sustainability of the fishing industry, as well as the livelihoods of our hardworking fishermen and all those who make Newlyn their home. In addition to a rigorous maintenance programme that ensures the longevity and stability of our historic quays, we are currently in the process of revitalising Newlyn Fish Market. This £1.3M refurbishment project, part-funded by the European Maritime Fisheries Fund, will deliver the spectrum of modern services, including a fully refrigerated and competitive selling platform. As vital as this is, it is only part of our story. We have worked hard to achieve our Maritime Coastguard Agency-audited Port Marine Safety Code compliance in order to provide a safe haven for our customers. We collaborate with innovative business start-ups to boost employment opportunities and actively seek funding so that we may maximise our assets for the benefit of harbour users and local residents alike. We welcome leisure craft as well as fishing vessels; preserve the past and look to the future. What’s more, we look forward to welcoming you. All vessels approaching Newlyn Harbour are required to call VHF Channel 12 for information and/or direction. Visit our Harbour Chart and Tidal Information page to find out more about the local conditions. A working harbour since the 15th century. A pioneering port for the 21st century. Immerse yourself in our history, or access our policies and future development plans here. From hardworking fishermen and inspiring entrepreneurs, to local families and holiday visitors, Newlyn’s community is both dynamic and diverse. An authentic Cornish port with a rich history of fishing and creativity, Newlyn offers a fascinating day out or location for a longer stay. Feast your eyes on Newlyn Harbour – from resident fishing vessels and the Fish Market to views of the town.